Sushant Singh Rajput, who won our hearts with his magnificent performance in MS Dhoni: The Untold Story and his boy next door looks in his last release Raabta, is all set to make us drool all over again with his upcoming movie Sonchiriya. Sushant Singh Rajput is one actor who loves to surprise his audience by his looks and his performances. The actor, who won our hearts with his magnificent performance in MS Dhoni: The Untold Story and his boy next door looks in his last release Raabta, is all set to make us drool all over again with his upcoming movie Sonchiriya. Sushant, who has been quite excited to be a part of the project, shared his first look from the movie on micro-blogging site Twitter. In the picture, he is seen dressed up as a dacoit as he shared a still from the sets of the movie. 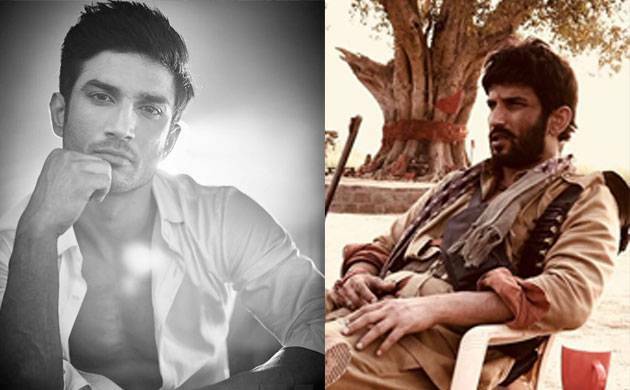 Sonchiriya is said to be based on the infamous dacoits of the area and will be set in the backdrop of 1970s. It is being shot in the locales of Chambal. Helmed by Abhishek Chaubey, Sonchiriya also stars Bhumi Pednekar, Manoj Bajpayee, Ashutosh Rana and Ranveer Shorey in key roles.